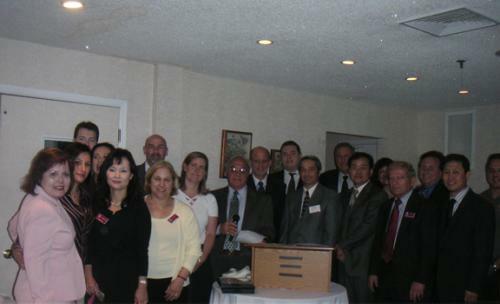 On Wednesday, June 13, 2007, Kenneth Bruno was installed on the Board of Directors for the Greater Fort Lee Chamber of Commerce. The Greater Fort Lee Chamber of Commerce installed its board of directors for the 2007-08 term at its June 13 membership luncheon. From left are some of those board members: ...Ken Bruno. *For privacy reasons, the other board members names are omitted.